Oslubi shoes are made with high quality materials which are comfortable for all feet with different size. It is made for several purpose. Such as running, hiking, casual and lifestyle. It is designed by expert team. Includes doctors, physiotherapist, fashion designers and shoe designers. All groups are equipped with high quality materials to provide the comfortable, light and beautiful product for everyone with various taste. 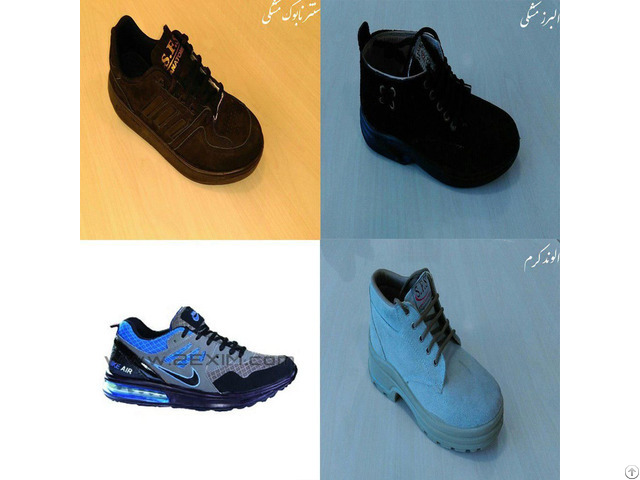 Oslubi shoes are suitable and manufactured by high technologies to fulfill the customer’s demands in the exact and best way. For more information visit our website and register for free to contact supplier of this and other products of Iran. Posted By: Avizheh International Trading Co.
2exim is the first specialized trading company in Iran. We establish the first website for trading which connect all businessmen from other countries to Iranian markets. You can easily register for free on our website and post your request. All Iranian businessmen will respond to your post. You have various choices to choose the best one. Also you can mention your products and we will introduce you in the best way through Iranian markets. All messages will be translated into your partners and your language by our expert translation team. (Our company can provide various customers for you with different languages. We show all information in 4 languages: English, Arabic, Russian and Persian. )So you will understand all details of your negotiation and can have successful deals. You just need to register right now to be in touch with all Iran markets.